Certificates of deposit, or CDs, offer steady rates designed to fit your unique savings goals. This type of savings account has a fixed interest rate, a fixed date of withdrawal, and no monthly fees. A CD differs from a traditional savings account in a number of ways. Unlike a savings account which allows you to deposit and withdraw funds at your discretion, a CD requires you to leave money in the bank for a set period of time. During this time, you cannot access your funds without paying a penalty. Learn more about the benefits of a certificate of deposit and the penalties you could face with early withdrawal. If you are looking for a low risk way to grow your money, a certificate of deposit may be right for you. 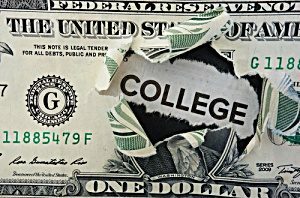 Many people are hesitant to tie up their money in the stock market or other savings products like bonds. A CD is considered a safer alternative as the funds are insured by the Federal Deposit Insurance Corporation (FDIC) up to the maximum amount allowed by law. Also, unlike stocks where it is possible to lose or gain large sums of money in a single day, funds put into a CD will continue to predictably grow. When investing in the stock market or real estate market, the outcome is uncertain. Some years your gains may be high, while other years you may experience significant losses. When you invest in a CD, you can take advantage of fixed rates at fixed terms for the life of the product. Fixed-Rate CDs: A fixed-rate CD has a set interest rate that is paid throughout the lifespan of the CD. With the type of CD, you are not affected by any interest rate increases or decreases. Adjustable-Rate CD: An adjustable-rate CD has a set interest rate at the time of deposit. However, you have the option to adjust this rate throughout the CD’s term. Investing in a CD can make it possible to save up for many of life’s important events and occasions, from a child’s future education to a long sought-after vacation. A certificate of deposit account is a safe place to keep your money for a set period of time, allowing you to align your funds with your future goals. As CDs come with a variety of different maturity dates, you can set the withdrawal date to the time that you need your money, whether it is six months from now or two years. One of the biggest advantages of a certificate of deposit are the low or potentially no fees associated with the savings account. Many banks do not charge a fee to hold your money in a CD, making the account a smart and affordable way to save. This also means that there are no fees to negatively impact your earnings. However, this is not true with all types of CDs. Carefully read the agreement at the time you sign your account contract. Some banks do charge a small monthly fee. If you are not sure if your bank does this, be sure to ask before signing any documents. Are There Penalties for Using CDs? While a certificate of deposit is fairly low risk, there are penalties that come with early withdrawals. Penalties occur when you choose to withdraw your money from a CD before the maturity date on the account has been reached. 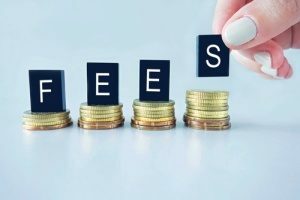 While penalty fees can range from bank to bank, most penalty fees for a CD with a maturity of one year or less is equivalent to three months’ worth of interest. For CDs with a maturity date of one year or more, the average withdrawal penalty is equivalent to six months’ worth of interest. To avoid these penalties, it is wise not to withdraw your funds until the maturity date has been reached. A certificate of deposit is a safe investment, but like most types of savings accounts, it does have some downfalls. 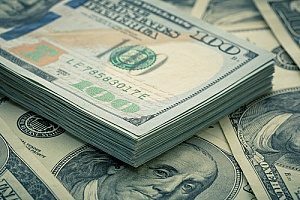 If you do not believe that you will need the sum of money for the unforeseen future, a CD can be an effective way to gain interest on your money that is merely sitting in the bank. However, be aware that withdrawing your money early could leave you with less interest than you had originally planned. To learn more about CDs, contact FVCbank to speak with a knowledgeable banker.